Use our low cost leasing merge solution to prepare your customised lease instantly for your commercial premises where the premises comprise the whole of the land. Our leases are reliable, easy to use and compliant. This lease is only for commercial premises that comprise all of the land. 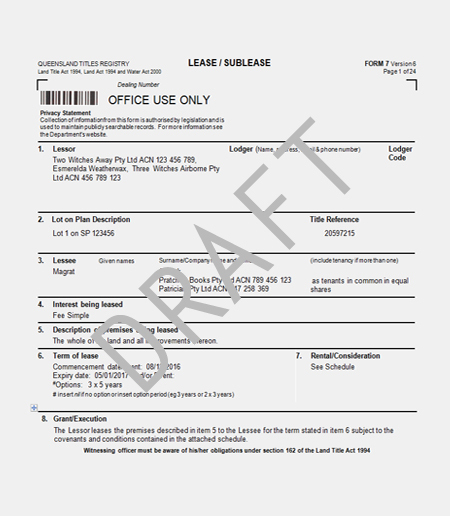 If the commercial premises comprise only part of the building or a portion of the land, please instead use this lease.